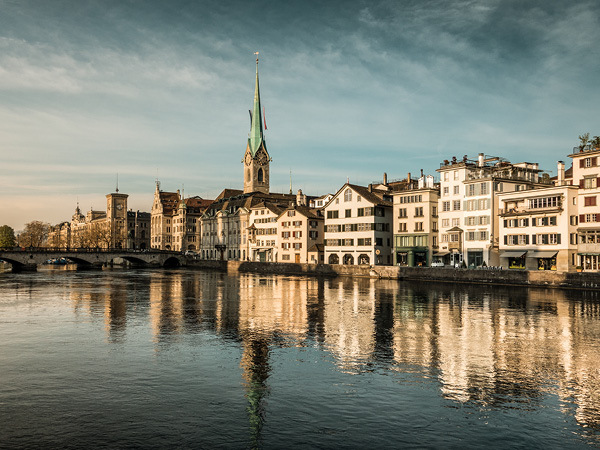 A photo of Zurich with the Limmat river in shot. 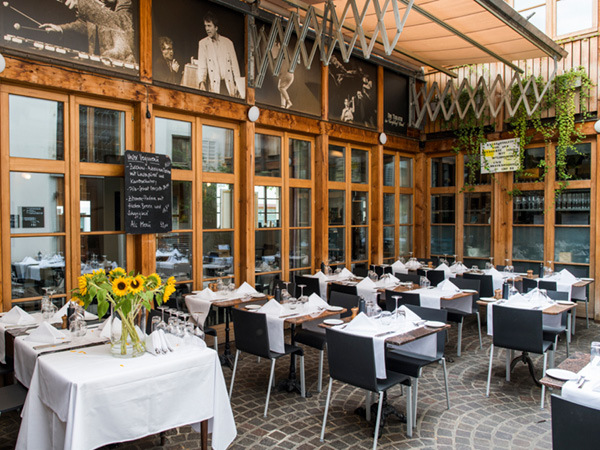 The dining area of the beautiful Basel Teufelhof. 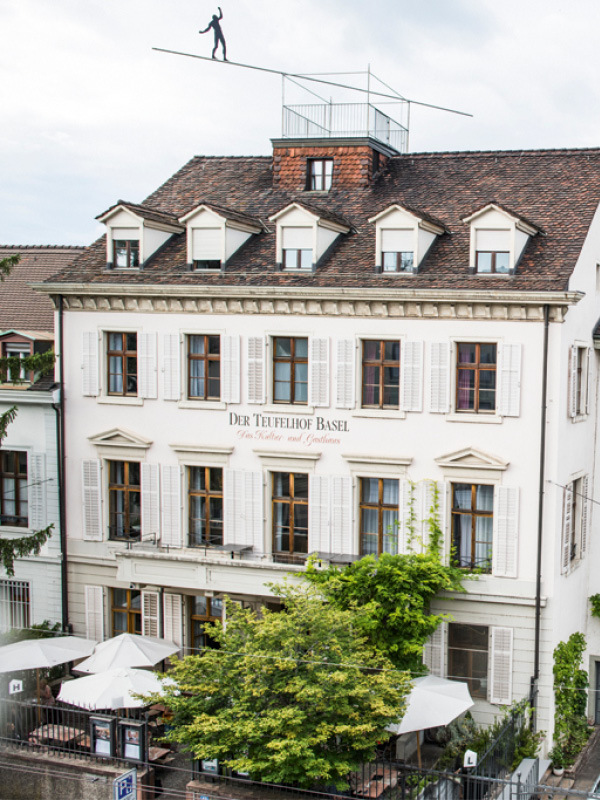 An exterior shot of Basel Teufelhof. The view of the breathtaking Schynige Platte. 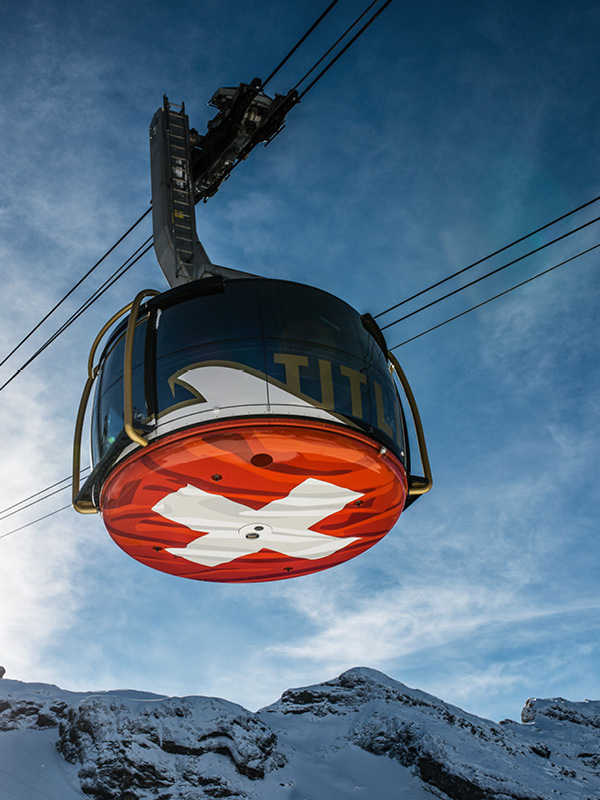 Titlis Rotair, the revolving car cable pictured high above the ground. With more than 65,000 kilometres of marked hiking trails, 54 designated regional bike routes, 336 recognised ski resorts, 900 museums and a 29,000-kilometre public transport network linking every town and village in the nation, working out what to leave out on a Swiss holiday is the hardest decision. International Traveller suggests a seven-day itinerary that’s sure to please. Long considered one of the world’s most liveable cities, Zurich wraps around the eponymous lake’s most westerly point, where a vibrant Old Town containing cobbled streets, Reformation-era churches, leafy squares and artisanal boutiques spread either side of the Limmat river. 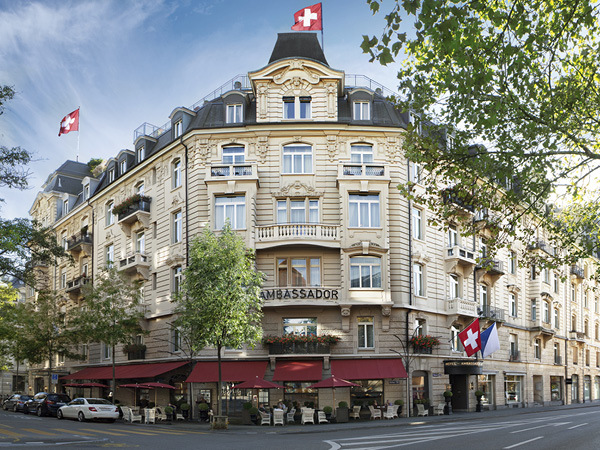 It also contains some of Europe’s best shopping, with Bahnhofstrasse rivalling London’s Regent Street and Paris’s Avenue des Champs-Élysées as one of the planet’s most exclusive shopping strips. Easy day excursions include to the Rhine Falls in Schaffhausen or to the alpine meadows that stole Heidi’s heart, above the village of Maienfeld. Insider tip: Sip hot chocolate in Zurich’s oldest cafe, Conditorei Schober, in the Old Town’s ‘sweet corner’. 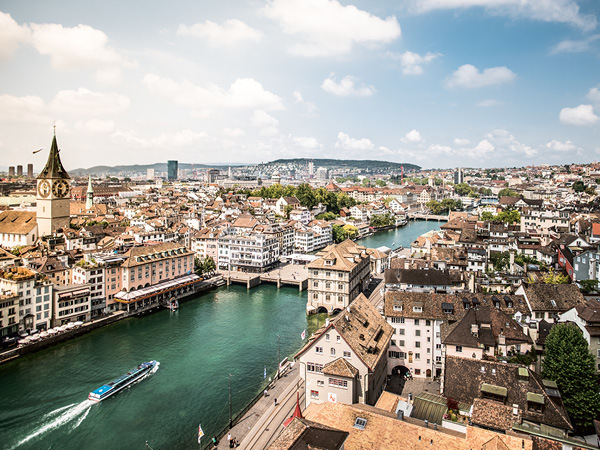 Nuzzled up against the German and French borders an hour west of Zurich, Basel is Switzerland’s third largest city and its cultural capital – home to the nation’s highest concentration of museums, its busiest carnival and its oldest university. In mid-June, the city hosts the world’s premier contemporary art fair, Art Basel. Around Basel, visit Augusta Raurica – a Roman theatre once holding 10,000 spectators. Alternatively, ride the panoramic gondola to Wasserfallen, Basel’s local mountain, or mountain bike from Beinwil to the Laufental valley. The nearby Jura Mountains contain countless rock climbing routes for beginners to experts. Insider tip: Float down the Rhine river on an air mattress in summer. 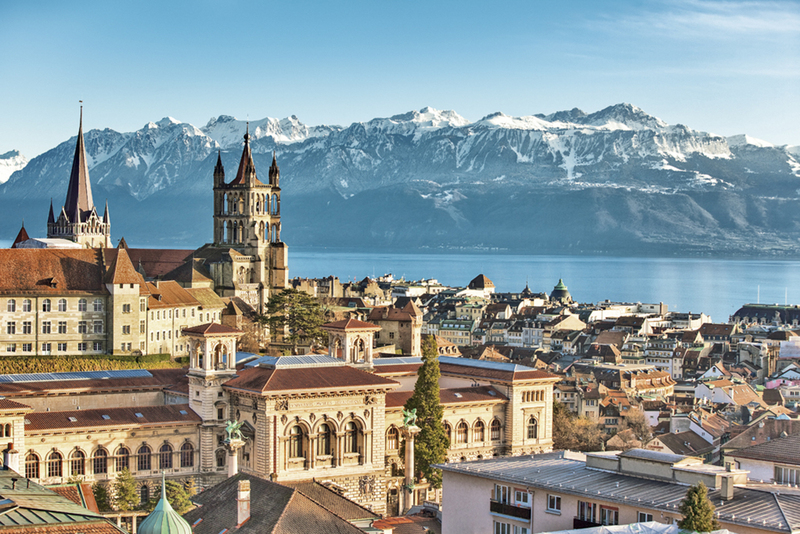 With a medieval Old Town dominated by a Gothic cathedral dating back to the 13th century, Lausanne’s picturesque lakeside setting overlooking Lake Geneva (Léman) – Switzerland’s largest – is one of the finest in the land. Soak up the views from the cathedral bell tower then hire a bicycle to ride along the swanky waterfront promenade in Ouchy – headquarters for the International Olympic Committee and home to the Olympic Museum. Later, stroll down to the quay for a sightseeing cruise along the Swiss Riviera. Insider tip: Jump on the hourly Train des Vignes (vine train) from Vevey to Puidoux as it climbs the terraced Lavaux vineyards cultivated by generations of wine growers. Grindelwald, at the foot of the infamous Eiger North Face, is Switzerland’s quintessential mountain village. 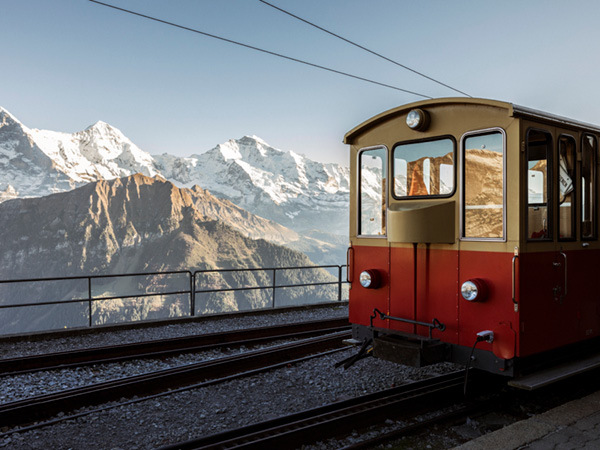 Though Eiger summit attempts are best left to experienced climbers, a railway tunnel runs inside the mountain to Jungfraujoch, Europe’s highest railway station affording views over the longest glacier in the Alps. The world’s longest downhill ski race starts here – part of 200 kilometres of pistes across three Jungfrau region resorts. 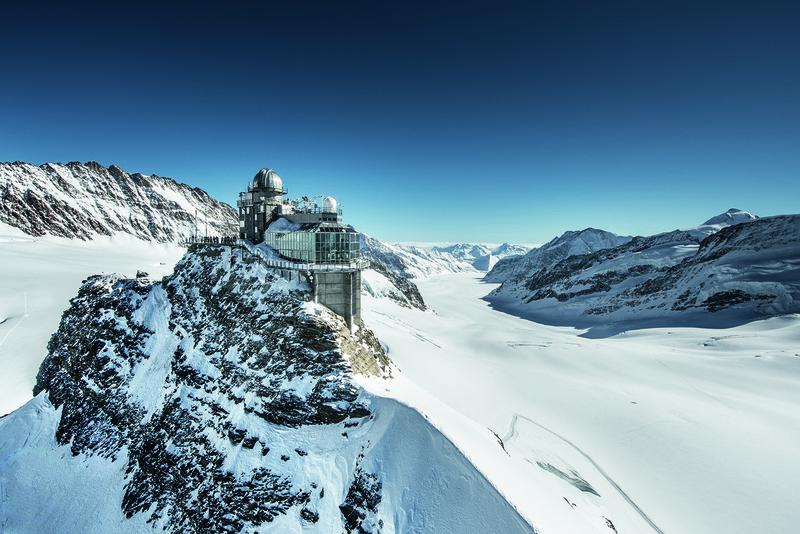 James Bond fans can ride a series of cable cars to Piz Gloria, the revolving summit restaurant on Schilthorn that featured in the 1969 spy film, On Her Majesty’s Secret Service. Insider tip: Ride the historic cogwheel train from Wilderswil to Schynige Platte then walk through alpine meadows to First. 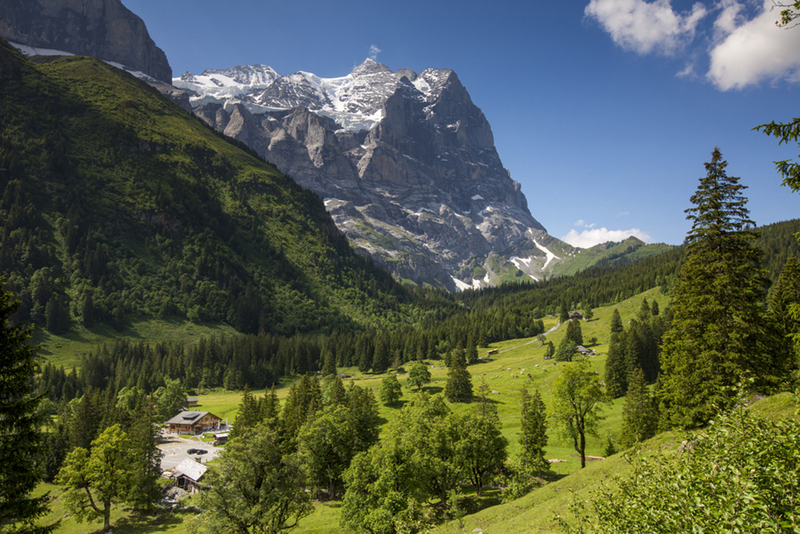 It’s arguably Switzerland’s most scenically rewarding day hike. Spend the day in the Hasli valley, where Arthur Conan Doyle’s legendary sleuth, Sherlock Holmes, battled the criminal mastermind Professor Moriarty at Reichenbach Falls. Ride Europe’s steepest funicular to the glacial Lake Gelm then continue up the valley for lunch at the Grimsel Hospiz. In winter, the road is covered in snow so the hotel is only accessible via several gondolas and a three-kilometre-long ride through the power plant’s tunnel system. Insider tip: Get around the valley using the yellow postal bus services. With a lakeside setting beneath picture-perfect mountains and a walled Old Town containing covered bridges and historic churches, it’s no wonder Lucerne has been described as the storybook Swiss city. 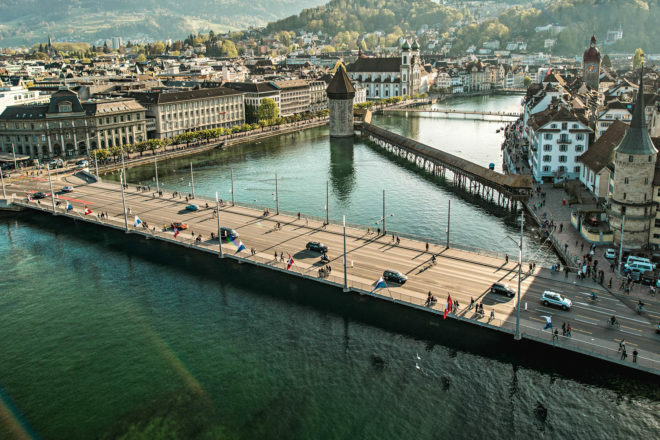 Lucerne rests on the banks of what is often described as Switzerland’s prettiest lake, where a fleet of ferries, including several historic paddle steamers, connect its farthest corners and dock beneath summit lookouts accessed by cog railways and cable cars. Insider tip: Board a train to Willisau then ride back through rolling farmlands to Lucerne on an electric bike without breaking a sweat. Engelberg is a small mountain village at the end of a valley where the world’s first rotating cable car climbs the north face of Mt Titlis. The views alone – towards Switzerland’s second highest peak, Dom, and across the Jungfrau Range – make the trip worthwhile. Up top, burrow through a glacial ice cave, snow tube downhill or brave a cliff walk on Europe’s highest suspension bridge. When you’re done, hike back to Engelberg along grassy trails then return to Zurich for your evening flight home. Insider tip: Hire a Trottibike (actually a scooter) in Untertrubsee then speed downhill to Engelberg’s cable car station along a winding blacktop road. Save up to 30% off car & motorhome hire worldwide. Final 2 weeks of Earlybirds – get in now!